Gamers in the UK must love over-the-top American propaganda. 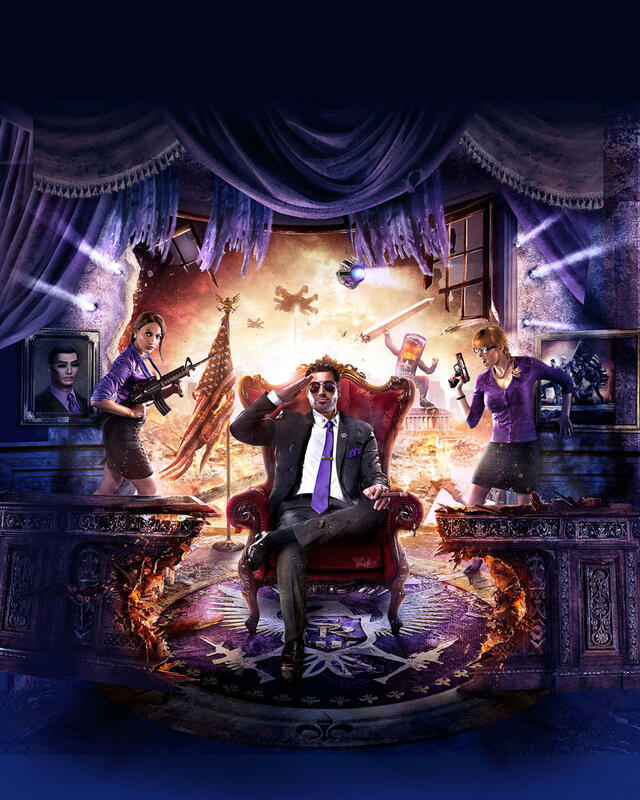 I mean, why else would Saints Row IV be making such a splash there? It has been standing tall and proud atop the U.K. sales list for a third solid week, and both debuting titles, Diablo III and Total War: Rome 2, were unable to strip it down from its position as king of the mountain. Volition's tongue-in-cheek sandbox game and its obnoxiously funny pro-American message have taken the world by storm and has proven to be the most successful in the series yet. New publisher Deep Silver has yet another reason to celebrate despite still glowing from selling 1 million copies in under a week worldwide. Total War: Rome 2 debuted in the list at number 2 with the GFK Chart claiming it sold a mere 4,000 more than its predecessor did in 2004. The original Total War: Rome is often hailed as one of the best strategy games of all time, but too much time seems to have passed between releases for hype to carry a sequel. The other big debut of the week comes from Diablo III, which clocked it at number three for its console release on PlayStation 3 and Xbox 360. Activision Blizzard moved 10 million units of the game back with the PC release, so it would seem that the console crowd is still not aboard with the franchise yet to see it get beat so badly. Either that or everyone has played it already. Both Disney Infinity and Splinter Cell: Blacklist dropped from the top three to make the positions open. From our favorites, Rayman Legends remains at a solid ninth place, and even The Last of Us is still kicking around down at the 18th position. Will that game ever go away? Here are the top 20 games of the week in the UK across all available distribution methods. Volition has the surprise hit of the year on its hands, and the sky is the limit, at least until Grand Theft Auto V is released in a few weeks. In the meantime, congratulations for making such a feel good story out of Saints Row IV. Check out our thoughts on it here.